On 4th July 2019, The EDELWEISS Salzburg Mountain Resort in Großarl will open anew after an initial renovation phase. The former Hotel Edelweiss Großarl becomes a modern resort in two large-scale construction steps. In the process, the existing main building was completely renovated and supplemented by a new eight-storey building. 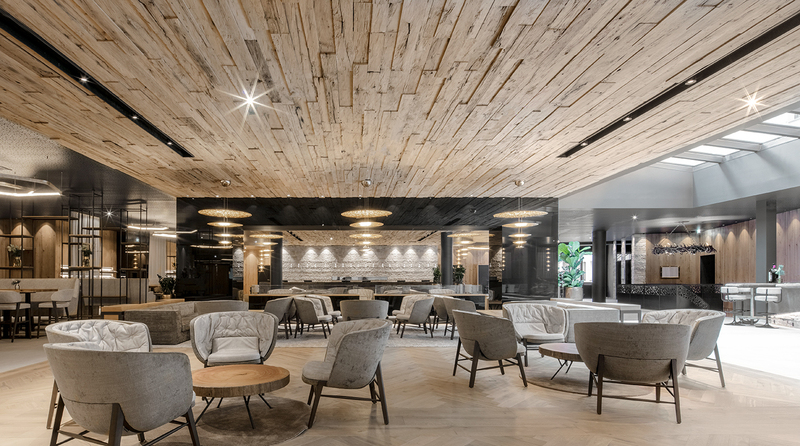 The hotel boasts a total of 113 rooms and 35suites, three restaurants with seating in six rooms, an Alpine bar, the Kork & Gloria wine bar, an extended lobby with Alpine lounge, the Church.Hill cigar lounge, a large-scale ski depot and a 400-square-foot event location. Since December 2018, both big and little guests have awaited the highlight which is the EDELWEISS Mountain Spa - a 1,000 square foot indoor aqua park with five water slides on two levels as well as the 7,000 square foot Mountain Spa with a separate family sauna and adults only spa area.